I rarely make time to visit South London so my trip to the Marquis of Wellington was the first time I’d been to Bermondsey in two years. It was actually also the first time I’d experienced the Bermondsey Beer Mile though! Bermondsey, like a lot of parts of London, has been called ‘up and coming’ and a foodie mecca. This seems to be definitely proving true with the opening of Marquis of Wellington. The pub has reopened with a whole new trendy, industrial chic look and a fabulous pizza menu. The pub is located on the famous Bermondsey Beer Mile so of course there’s a great beer selection which are complimented by their hand-stretched stone baked pizza and by their pop-ups and street food out front of the pub which are there at the weekends. As well as beers the Marquis of Wellington has a wide range of gins available, some of which have been distilled within walking distance of the pub! 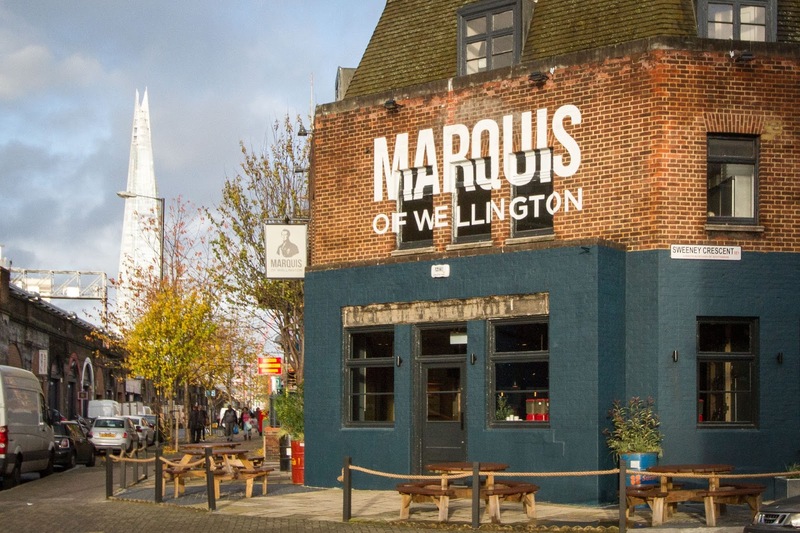 We found Marquis of Wellington just a short walk from Bermondsey station. 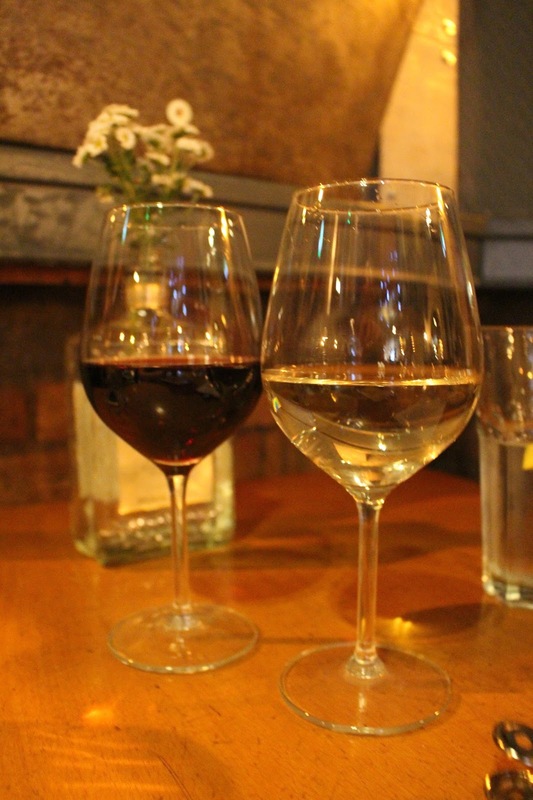 We visited on a Tuesday evening in January for a few glasses of wine and some pizza and the place was already busy. We weren’t able to try the street food dishes as we visited during the weekend. However the pubs menu has a really interesting range of pizzas and garlic breads which unique toppings. We decided to go for the items which stood our the most for us on the menu and it was a total carb overload…. To start we went for Fior di latte mozzarella, basil pesto & sun blushed tomatoes (£4). This was amazing. My local restaurant used to sell something similar and I was absolutely obsessed but now they’ve stopped. I’m thankful I’ve found an alternative. There was just the right amount of pesto to give that perfect kick without being too overwhelming. The menu (view here) makes it super easy to order. Simply tick what you want and take your order to bar. You pay straight away so there’s no hassle of having to wait for your bill at the end. 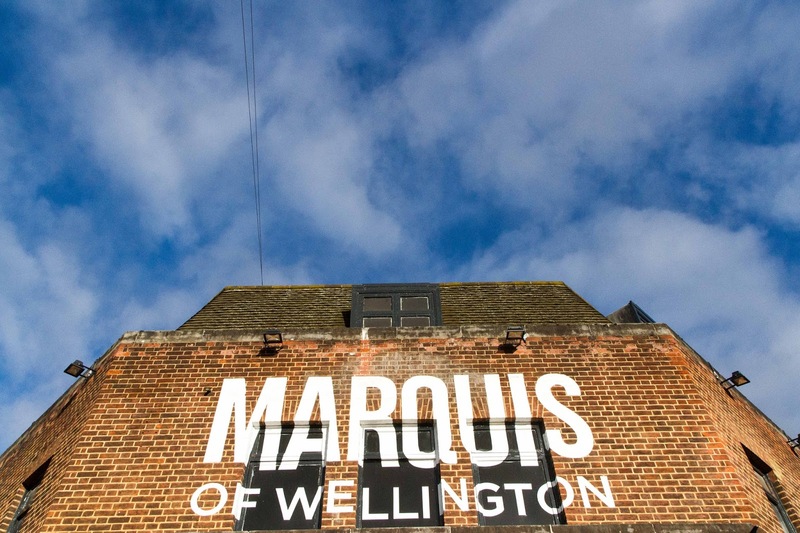 At the Marquis of Wellington they make of their bespoke bases using authentic Italian ingredients, pulled and rolled by hand in the open plan kitchen behind the bar. For mains we shared two very interesting pizzas including the Sirloin steak with slices of tender beef, onions and gorgonzola (£9.75). The steak slices were so tender and juicy. The toppings made it different to any other pizza I’d had before. We also shared the Smoked Salmon pizza with shards of smoked salmon, ricotta, capers, rocket and lemon oil (£8.50). Like the garlic bread, the pizza base was light and fluffy. Salmon may sound slightly strange on a pizza but it was incredible and definitely an underrated combination. 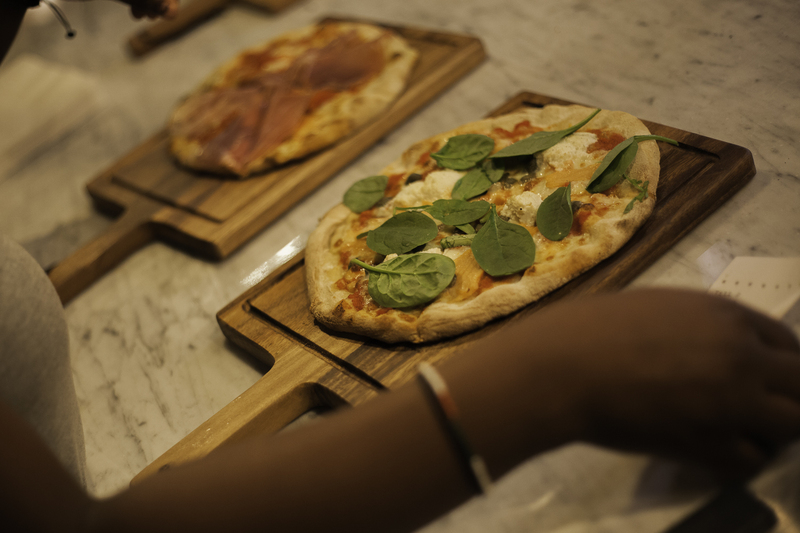 Both pizzas were amazing, so when we were asked what our favourite was we found it difficult to choose. I decided I preferred the steak pizza whereas my guest preferred the salmon. The Marquis of Wellington is worth the trip across London for great food and good company. I’m sad that I don’t live closer! Simon and the team – Everton, Chessy and Patrick – were absolutely fantastic and so welcoming. Each so passionate about the Marquis of Wellington, its success and their customers happiness.